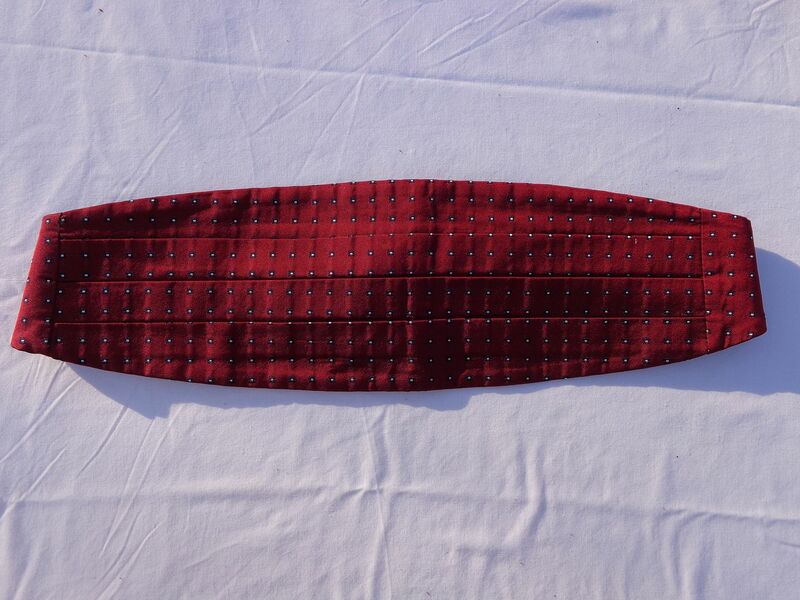 Brooks Brothers cummerbund, red with neats. This isn't any more commercial that my offerings here--so please do feel free to make offers on everything! All silk. Excellent condition. Made in the USA. Excellent condition. Just $29, or offer, boxed and shipped in the USA. VINTAGE Woolrich Hunting Jacket. MADE IN THE USA! c. 44. Sisley of Italy "On the Waterfront" Jacket. Size L.
BEAUTIFUL Glen Plaid Suit in Cashmere & Wool! Made in Italy for Arthur & Fox of Paris. c44. UNWORN Versace "Classic" Suit. Made in Italy from Wool and Silk. c. 44. SMYTHSON of Bond Street, London Eyeglasses Case in calf leather, lined in pigskin suede.